Thimphu: Bhutan: This is to inform that Annual Art Festival 2014 will be held from 29th September to 5th October 2014. 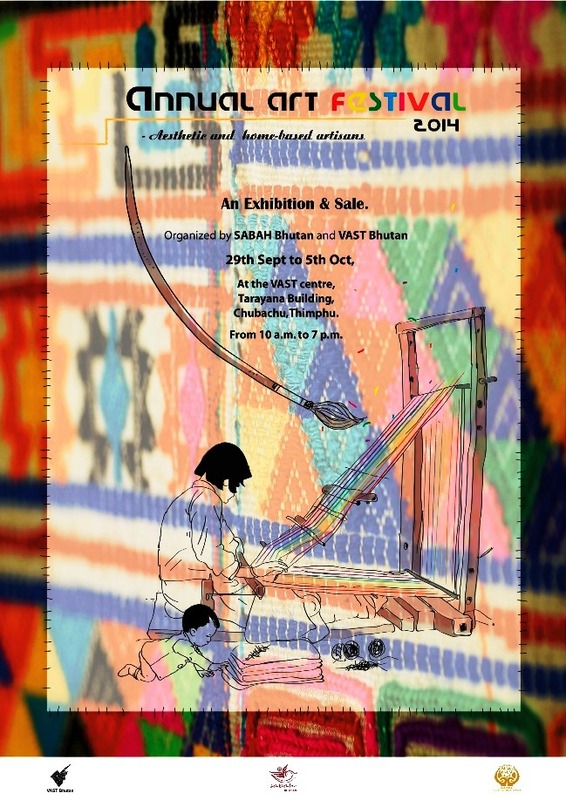 During the Festival there will be an Exhibition and Sale organised by SABAH (SAARC Business Association for Home Based Workers) and VAST. The festival will be at VAST centre, Tarayana Building, Chubachu, Thimphu and will be open from 10.00 A.M to 7.00 P.M from 29th September – 5th October 2014. This would be another interesting site to visit for those tourist who are in Thimphu around the same time.